Hello there, and welcome to the very first Maid by Sinead blog post! I’m not going to lie – this has been on my list of things to do for months and I finally decided that since it’s the New Year, it was now or never! 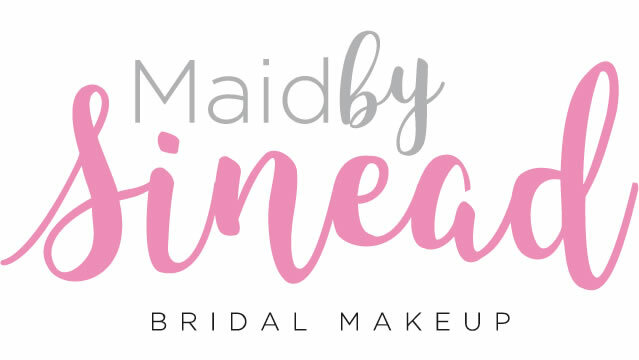 The past year was very exciting for ‘Maid by Sinead’, as I was shortlisted to the final 5 Bridal Make-up Artists in Ireland’s Wedding Journal Reader Awards. This was a very big moment for me, and I have never been so delighted. The work never stops though, so here’s hoping that 2018 brings bigger and better things! So far I have had the privilege to be involved in countless bride’s wedding preparations. For me nothing beats the buzz of a wedding morning, with the nervous anticipation, the giggles and of course, the screams of “Where’s my shoes! ?’ The best part of it all, however, is watching a bride’s face light up when she takes her first glance in the mirror once I have completed her look. This simple moment makes everything worthwhile and is the biggest reason why I love what I do! Besides talking all things makeup and skin, I am hoping to also involve some ‘top tips’ from some of the UK and Ireland’s top suppliers and creatives, including photography, bridal wear, hair styling and much more, so be sure to keep an eye out for any future blog posts. Apart from here, I’ll also be using my Facebook page and Instagram to keep you all updated on new products, as well as the latest goings on at Maid by Sinead. So, if you know anyone who is in need of a Bridal Make-up Artist (who enjoys a bit of craic over a glass of bubbles,) then feel free to get in touch using the contact form, or on Facebook.